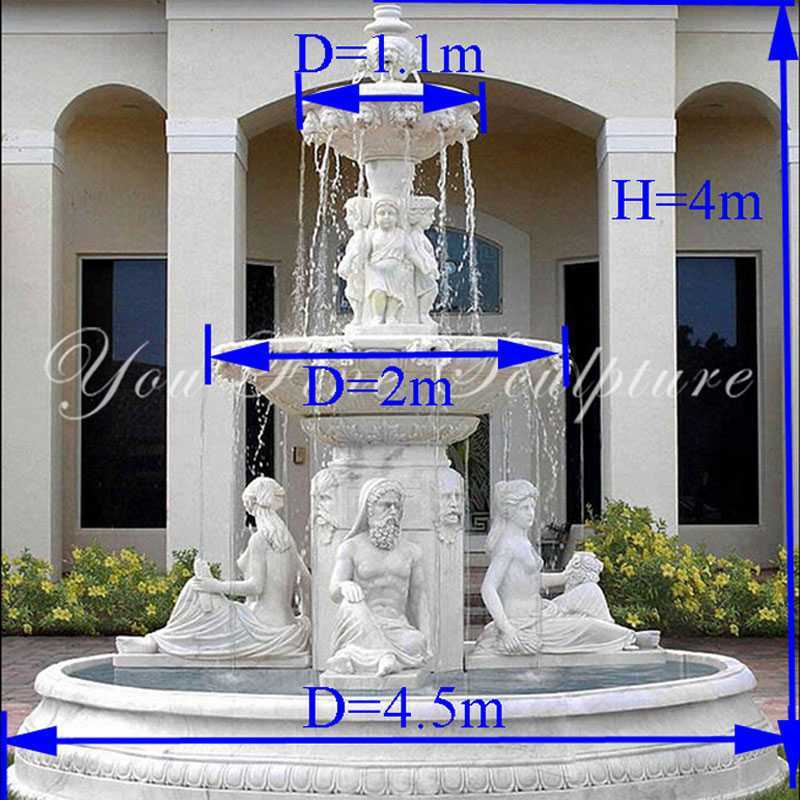 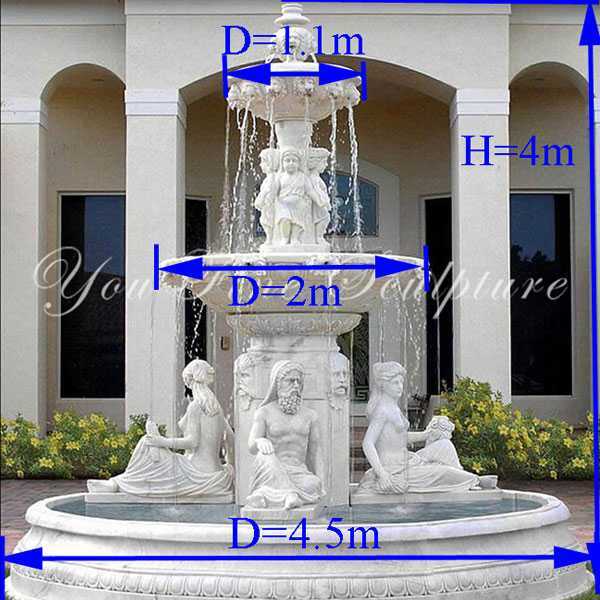 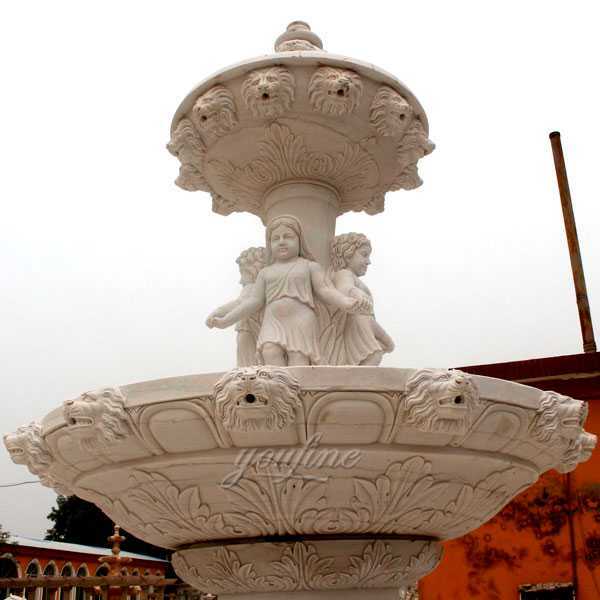 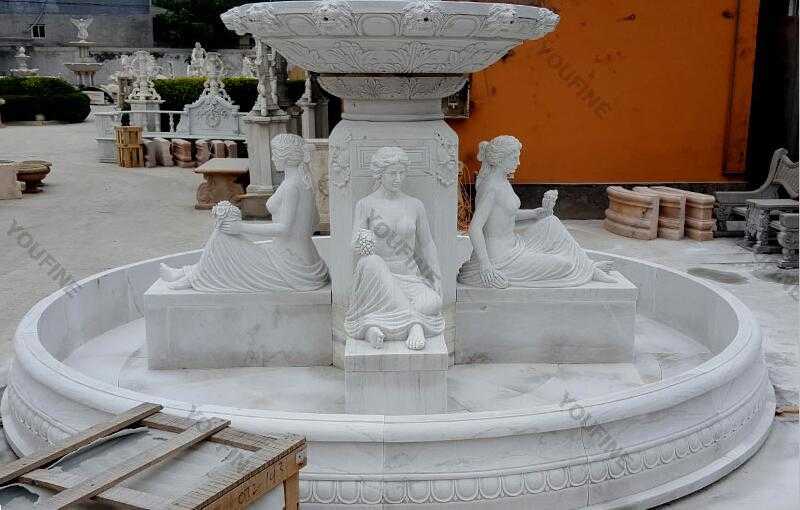 Do you like this hand carved 3 tiered pure white marble fountain with figure statues design for our american friend.We were used the high quality white marble for this tiered fountain,and this is a 3 tiered marble fountain. 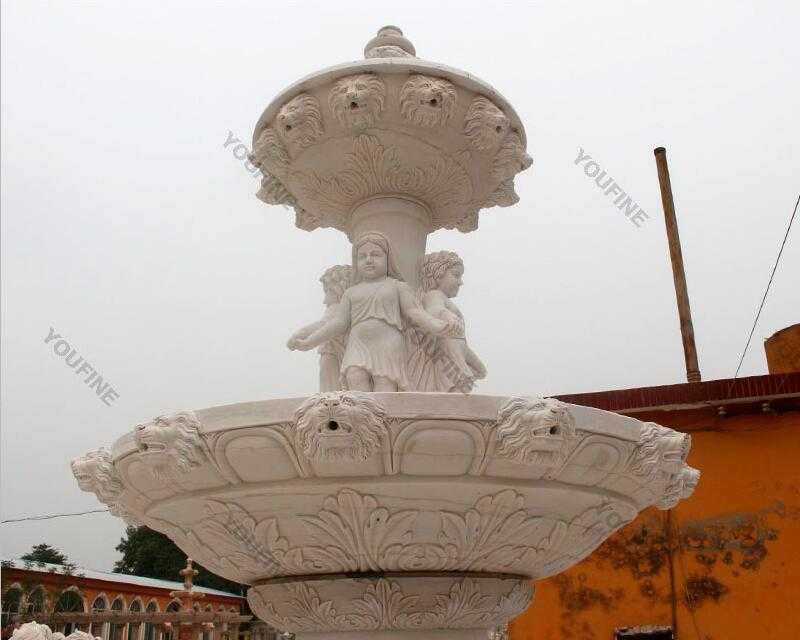 At the bottom of the fountain,around of the pedestal,having four figure statues carved,two brave males and two beautiful females,every detail of the figure statue are carved with heart by our masters. 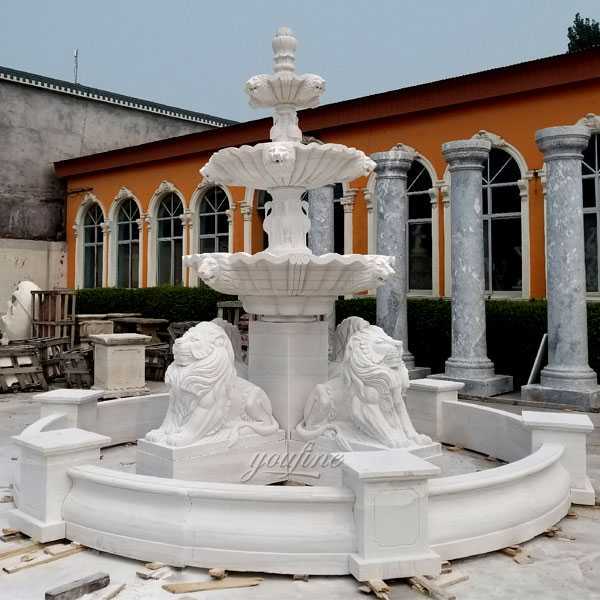 See the above of the figure,there is our most important part of the 3 tiered white marble water fountain,the first tiered.The large pot,we are using one compete marble,not splice with two parts or many parts,in order to keep it not lake water from the medium of the pot. 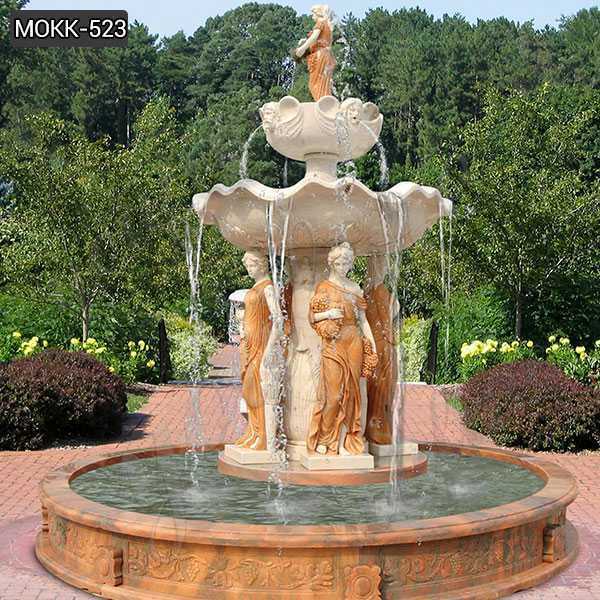 And also avoid you trouble about the after service. 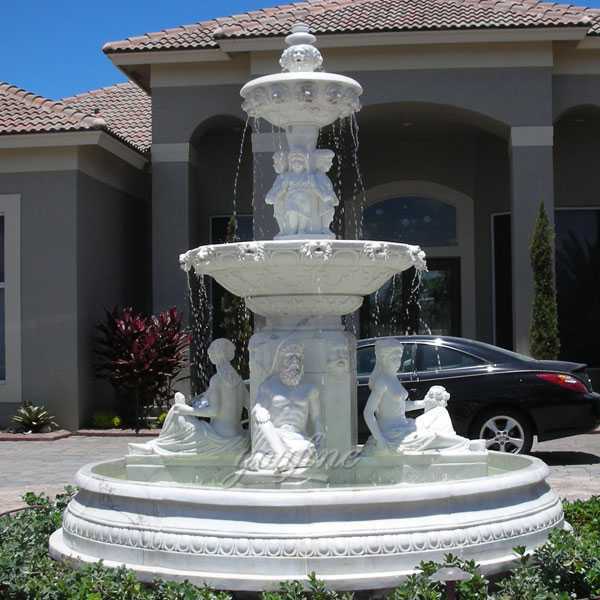 This is reason why sometimes our fountain is more expensive than other fountain supplier ! 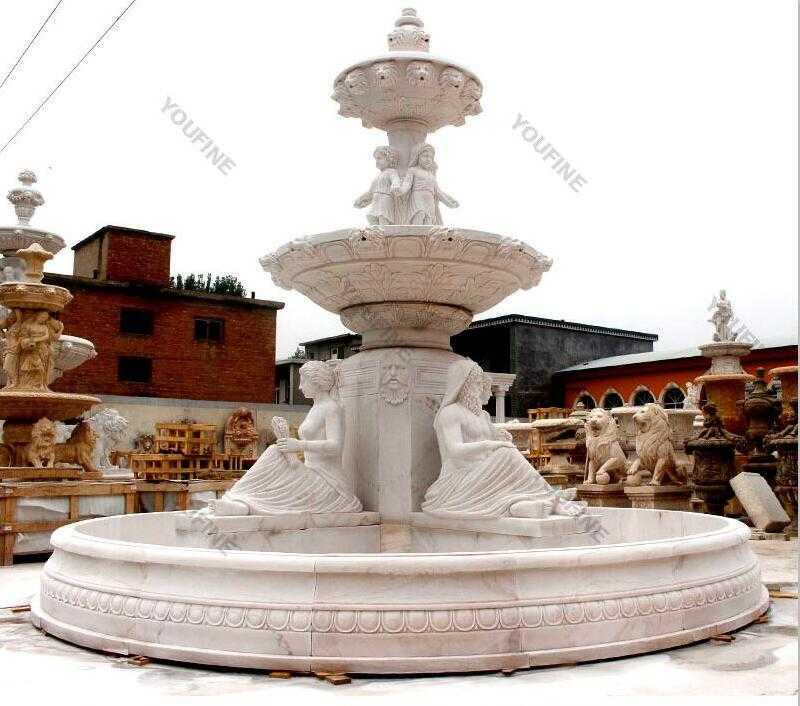 At the second tiered,around the edge of the second bowl,decorating with lion heads and the mouth could make the water feature.And at the top of the fountain,also having some lion head decorated. 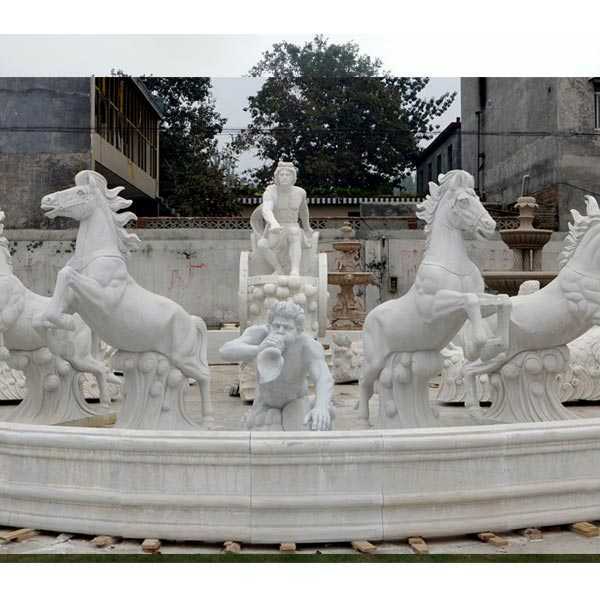 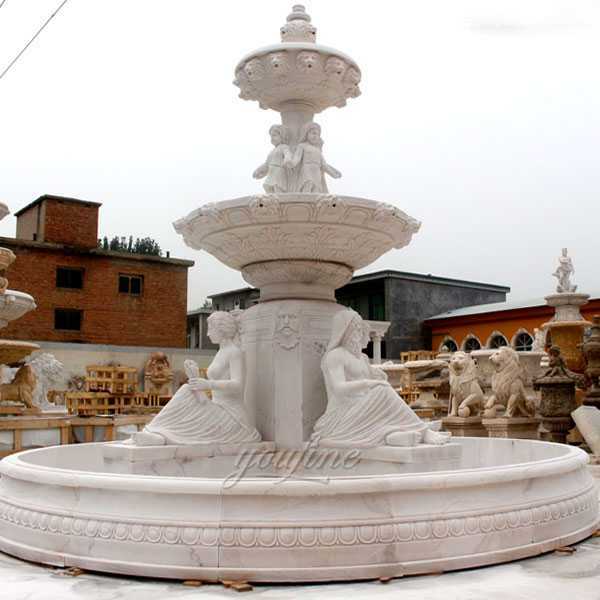 Remember That ,All The Detail of 3 Tiered White Marble Fountain Could Be Custom Made,Tell Us You Ideas Or Designs,We Could Try Our Best To Make That True !